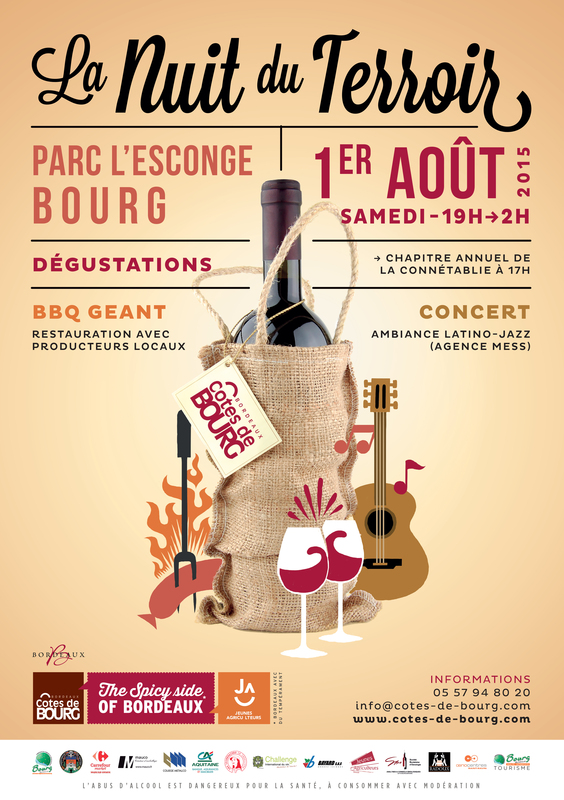 2015, August, 1st, for the Fourth Edition in a row, young winegrowers of the Côtes de Bourg invited visitors to the Nuit du Terroir. This night-time market, lasting until 2 am, highlights fine wines and gourmet food. 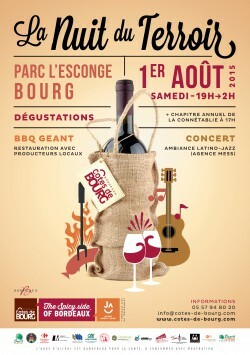 New since 2013: the Connétablie des Côtes de Bourg is a partner of this event. Improving Wine Tourism in Bourg ! While major structures, like Cité des Civilisation des Vins de Bordeaux, are being built, Côtes de Bourg appellation is launching an ambitious construction project around wine-tourism. This project takes part in the area’s development process with the urban design Bourg city and docks, designed to welcome cruise passengers, by Bourg municipality and all 15 communes of the administrative district. This project serves as a demonstration of the synergy existing between the major actors of the Bourg canton. This expansion should celebrate its opening in the spring 2016 at the same time as the Cité des Civilisations des Vins de Bordeaux. Our goal is clear : We want to offer an exclusive welcome to tourists but also to wine professionnals. The Maison des Vins, being the true embodiment of the appellation, will become a requisite step in the discovering of Bordeaux region. 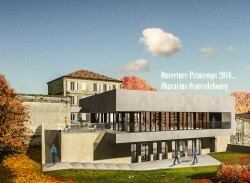 The whole-new Maison des Vins will open its own wine bar in order to offer a unique tasting experience with a large wine range from the appellation. 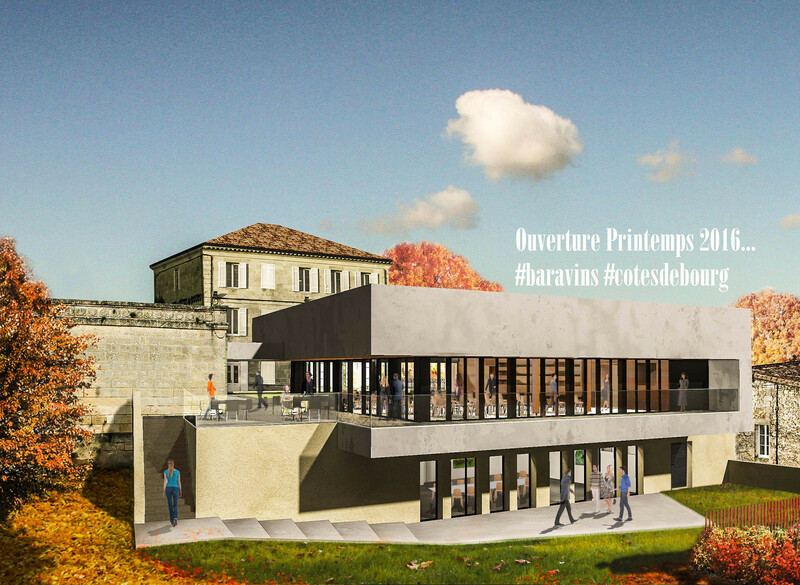 This new Maison des Vins will also include a reception hall with 130 seatings and a large terrace of 150 square meters. But above all that, you will enjoy a magical view over the Dordogne River. tasting workshops, but also oenologist aperitifs, and wine-themed events. You can have a look at all the building pictures here ! “Escapade en Côtes de Bourg” package provides a two-day total immersion in the Côtes de Bourg vineyards. 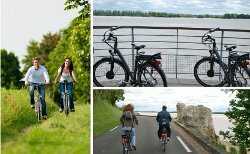 You will go up on down the Bourg region on a power-assisted bicycle to discover the vineyards, the estuary, the corniche, and a host of attractive villages. During this guided tour, you can also take advantage of a stopover at the Maison des Côtes de Bourg for a tailor-made tasting. 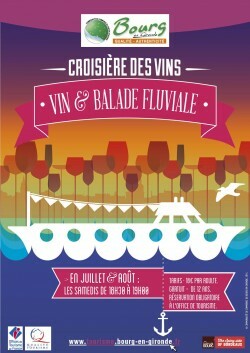 You can also enjoy a full or half-day “Bourg and Blaye Vineyard Cruise”, a guided tour of the city of Bourg, etc. The Compagnie des 2 Rives offers boat trips with a tasting of Côtes de Bourg wine tutored by a local winegrower every Saturday from 6:30 to 7:30 pm in July and August. You can also admire the lovely surrounding countryside from a unique vantage point. The boat leaves once a minimum of 20 people have reserved. Cost: 18 € for adults, and free for children under 12. For further information: Bourg Tourist Office. Every Wednesday during the summer season, the Côtes de Bourg join forces with Bordeaux River Cruise to organise excursions leaving from Bordeaux. 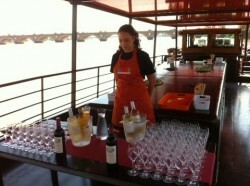 The Sardane will take you on a delightful 1 hour and 30 minute cruise, during which you can taste Côtes de Bourg wines. This is an ideal opportunity to meet winegrowers who will share their love for their vines and their terroir.